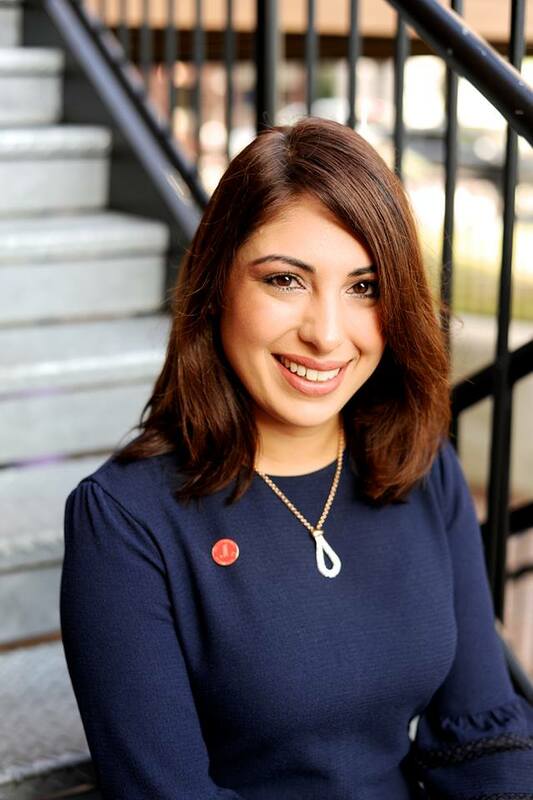 As the 2018-2019 President, Shikha Vasaiwala is leading the charge in establishing the Junior League of Portland, ME as a subject-matter expert in reaching at-risk youth and families in greater Portland while cultivating the leadership potential of over 250 members. Shikha has nearly 15 years of professional and volunteer experience in the not-for-profit sector in New York City and southern Maine, including as former Executive Director of a celebrity-driven women’s cancer organization called the Cancer Schmancer Movement, and as former Program Director of national youth organization, DoSomething.org. She currently serves on the Board of Directors of the Center for Grieving Children, Membership Committee at The Woodlands Club, and as a Girl Scouts Troop Leader at Falmouth Elementary School. Shikha has been a member of the Junior League of Portland, ME since 2012, taking on multiple leadership roles with great success, including as Public Relations Council Vice President, Fund Development Council Vice President, and Community Impact Committee Chair. She has participated on various ad hoc committees and is a member of the new Diversity and Inclusion Task Force. Shikha currently resides in Falmouth with her husband, Samip, and two children, Zahira and Zayena. She has been a full-time mom since 2011, and, when she’s not with her children or volunteering in the community, Shikha enjoys swimming, ice skating, hiking, and cooking. Born and raised in Connecticut by parents from India, Shikha learned Hindi and Punjabi at home, as well as French and Spanish in school and college. Shikha graduated with a Bachelor of Arts in both International Studies and Modern Languages from Trinity College. Eliza Warren Giberson grew up in Portland and joined the Junior League of Portland, ME in 2013. Prior to serving as President-Elect, she most recently served on the Board of Directors as Membership Council Vice President and has played an instrumental role in shaping the new member experience in recent years. Eliza received the Junior League of Portland, ME’s Outstanding New Member Award in 2014, followed by the Hope P. Bramhall Volunteer of the Year Award in 2016. She attended The Association of Junior Leagues International’s Organization Development Institute in 2015, where she eagerly shared and absorbed many best practices regarding comprehensive fund development. Professionally, Eliza serves as a Leadership Gift Officer at Maine Medical Center working to raise funds supporting innovative patient care, research, and education--helping to provide the best healthcare possible for our community. 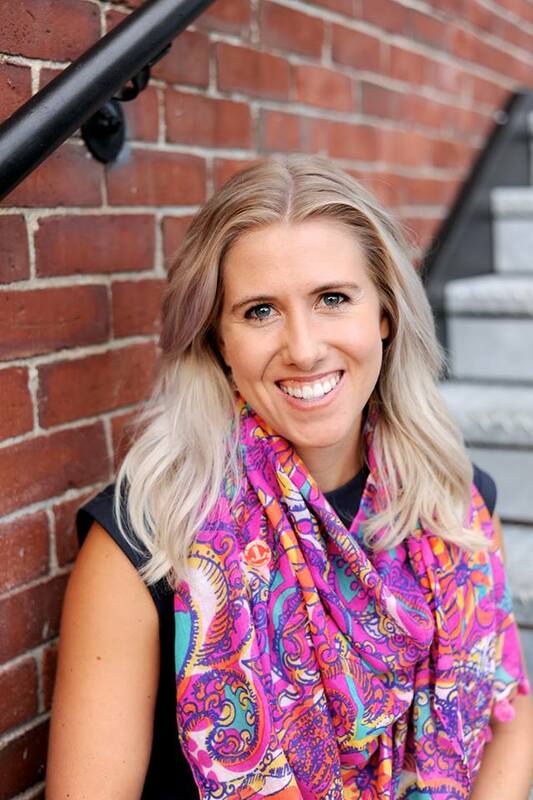 In addition to her work with the Junior League of Portland, ME, Eliza is a member of Maine Medical Center’s Emerging Leaders and volunteers for a variety of organizations in the community focused on women’s empowerment and the arts. Eliza has a Bachelor of Arts from Smith College, and she has previously held positions raising funds for the Center for Grieving Children in Portland and Rush Hour Concerts in Chicago. Additionally, Eliza was a founding member of Make Music Chicago, an annual day-long free music festival in downtown Chicago. In her spare time, Eliza enjoys attending rock shows and skiing Maine's many mountains with her husband, Jim. 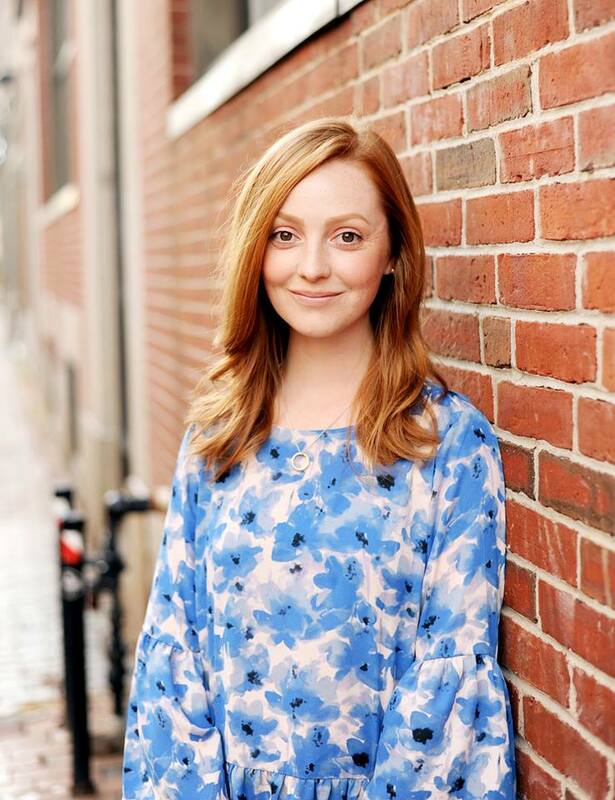 Meghan Schratz joined the Junior League of Portland, ME in 2014. Prior to serving as Recording Secretary, Meghan served on the Fund Development Council, taking on various roles in marketing, event logistics, and business development. Meghan attended The Association of Junior Leagues International’s Organizational Development Institute in 2017 and serves on the League’s new Diversity and Inclusion Task Force. 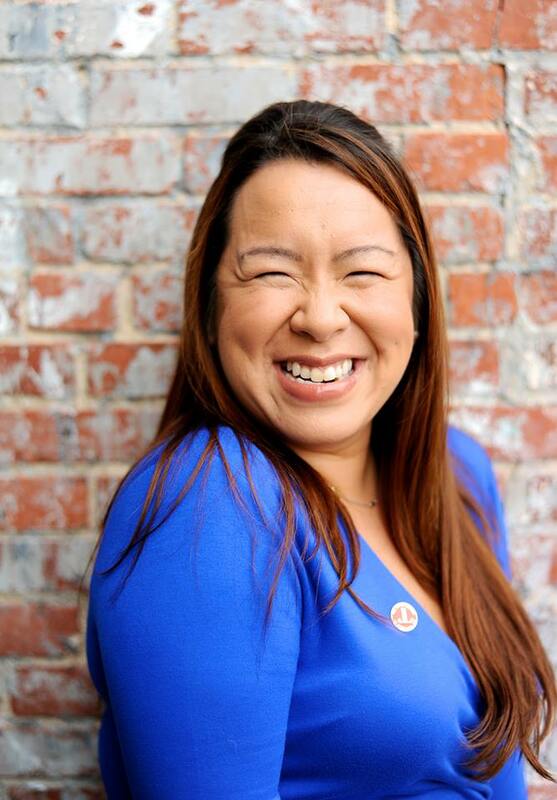 A few of the many reasons #WhyIJLP for her include connecting to issues in the Portland community, developing leadership skills, and making great friends and connections with fellow JLP members. Meghan has a Bachelor of Arts from Fordham University and a Master of Arts in Teaching from Montclair State University. She is currently a Human Resources Partner at University of Maine System, serving the University of Southern Maine campuses. Meghan lives in South Portland with her husband, Connor, and their cat, Kafka, and enjoys taking advantage of the outdoors in Maine, traveling, and reading good books. 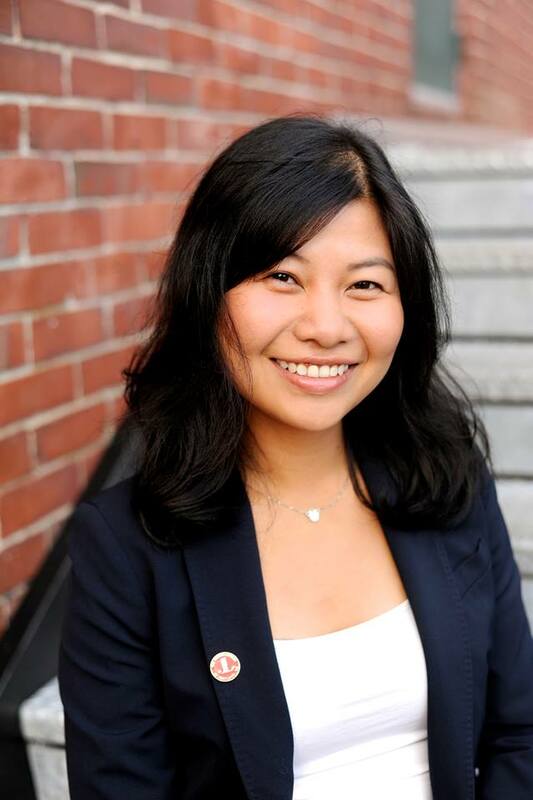 Ruby Dinh joined the Junior League of Portland, ME in 2016 and currently serves as the Treasurer. Previously, she served as her New Member class fundraising sub-committee chair, a role that pushed her outside of her comfort zone. Voluntarism is dear to Ruby’s heart and has taken her to Vietnam to co-lead a summer camp for kids with disability, and to Uganda, as an Ambassador, to represent her previous employer’s commitment to the Millennial Promise organization. This time, she is eager to dedicate her efforts closer to home – her immediate Greater Portland community. Ruby was born and raised in Vietnam. She moved to Minnesota for high school and received both her Bachelor of Management and MBA from Clark University in Worcester, MA. She spent three years working in retail marketing for Tommy Hilfiger in New York City and relocated to Maine three years ago for L.L.Bean, holding various positions in print marketing, email marketing, and most recently, consumer research. Ruby currently resides in the West End, Portland with her partner, Jerome. During the weekend, she enjoys hiking in Maine and New Hampshire with Maine Outdoor Adventure Club, biking around Rangeley Lake, and looking for a pup to adopt. 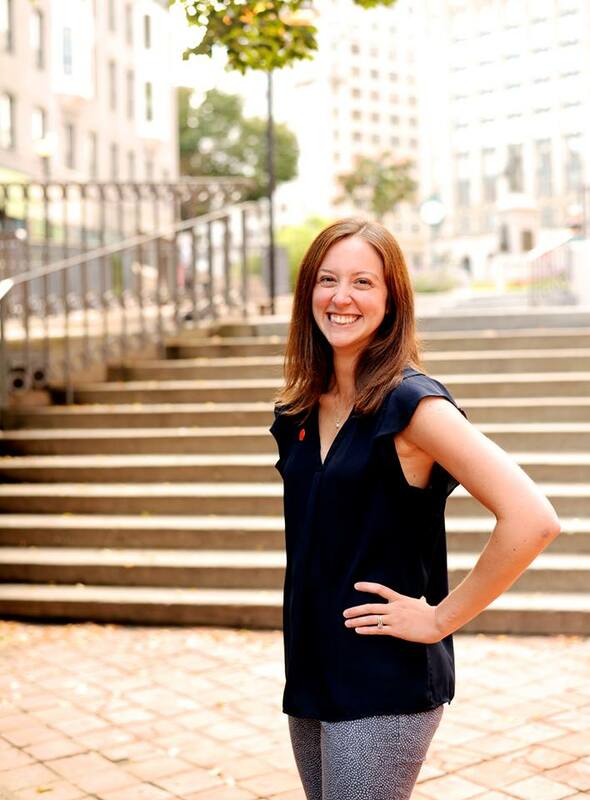 Leah Wallof joined the Junior League of Portland, ME in 2015. Prior to serving on the Board of Directors, Leah served in a leadership capacity on the Fund Development Council, the CPPC Governance Committee as a representative of the Junior League of Portland, ME, and on the Membership Transformation Rollout team--an ad hoc committee designed to evaluate and recalibrate the Junior League membership experience. Most recently, she also helped create the League’s new Diversity and Inclusion Task Force. Leah has attended The Association of Junior Leagues International’s Organizational Development Institute and won the Hope Bramhall Volunteer of the Year Award in 201. A Scarborough native, Leah has a Bachelor of Arts in Communication Studies from Grove City College in Western Pennsylvania. Currently, Leah is employed at Vet's First Choice as the Midwest Account Manager. Her team partners with veterinary practices to provide goal achievement guidance, training, and support for their online pharmacies. Leah is also a trained action learning set facilitator and facilitates conversations around implicit bias and diversity and inclusion. In her spare time, Leah enjoys hanging out with Fred the cat, slinging coffee, and being a part of the Yelp Elite community. She loves exploring partnership opportunities for the Junior League of Portland, ME and is committed to developing inclusive environments." 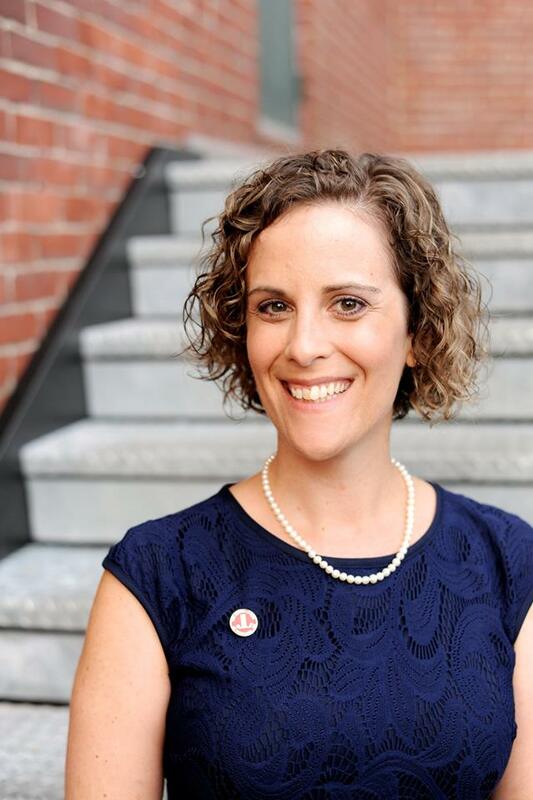 Shannon Vachon joined the Junior League of Portland, ME in 2012 as a way to connect with the Portland community she now calls home. 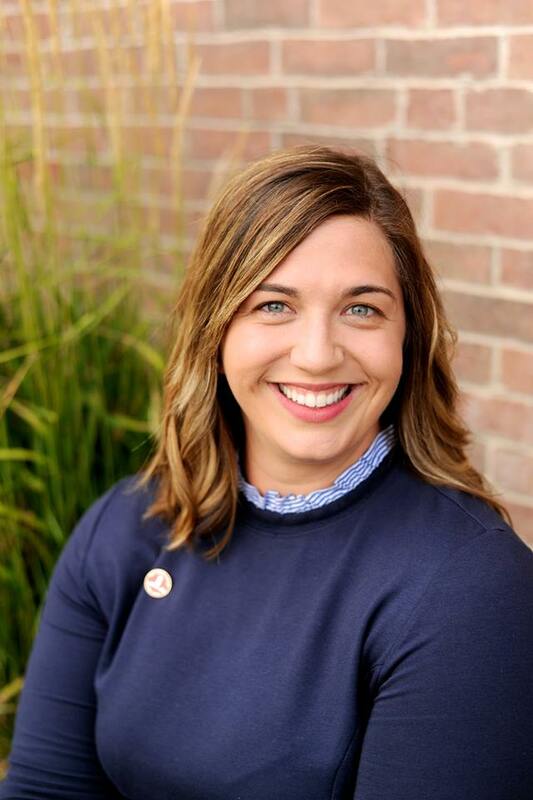 After serving as the Event Management Committee Chair for the past two years, she is now overseeing the League’s fundraising efforts as this year’s Fund Development Council Vice President. 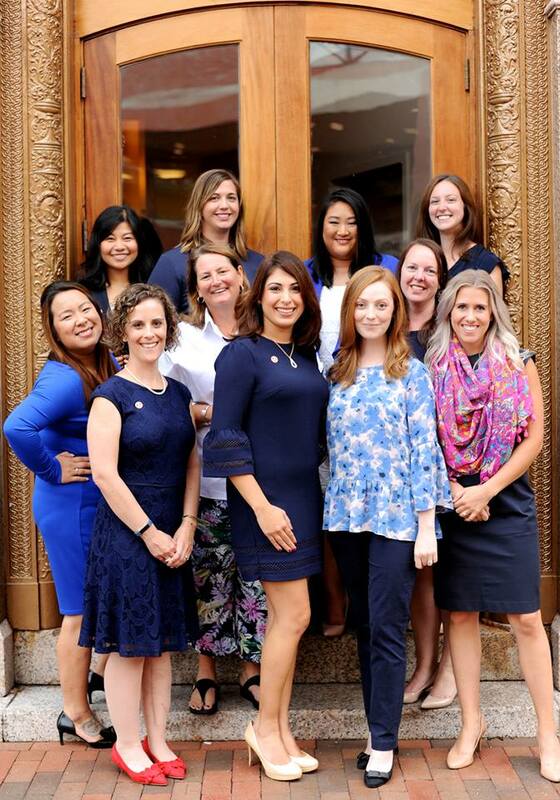 Everyday, the women that make up the League inspire her and give her the opportunity to learn new things that she can apply to her personal and professional life. Outside of the League, Shannon works at the Courtyard by Marriott Portland Downtown/Waterfront as their Director of Sales and resides in Falmouth with her husband, Scot. Shannon enjoys all the outdoor activities Maine has to offer and loves staying active. You can usually spot her at one of Portland’s Orange Theory classes or out running the streets of Falmouth. Belle was born and raised in Maine, but nods to Vietnam and France as extensions of her home. Belle works in development and has a Bachelor of Arts in Communication from University of Southern Maine and a Master of Science in Applied Market Analytics from Boston University. Outside of her League service, Belle sits on Board committees for both Goodwill of Northern New England and Portland Public Library. Aside from community advocacy, Belle enjoys food she doesn’t have to prepare herself, karaoke a la the 80s, a thoughtful read, and exploring greater Portland in her running shoes or at a gentler pace with her rescue Lab, Casco the dog. 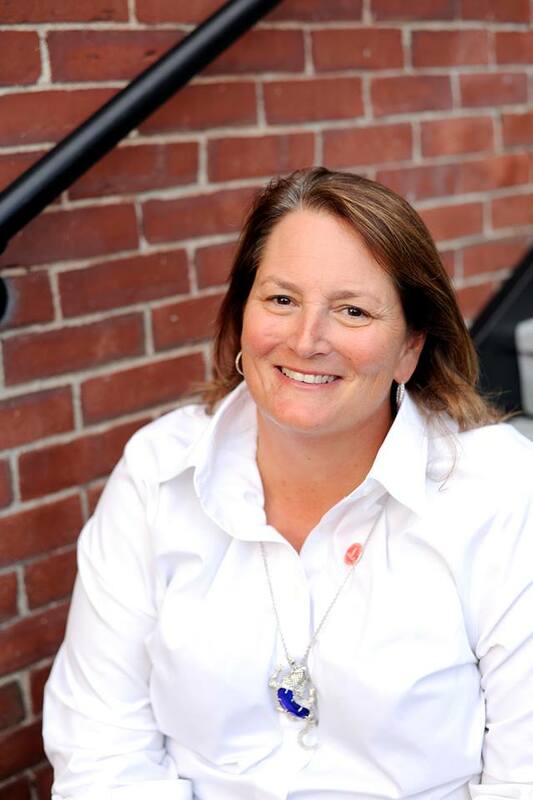 Martha Sprague has been a member of the Junior League of Portland, ME since 2007, taking on various roles and leadership positions over the years. Most recently, Martha served as the Placement Committee Chair and served on the Membership Transformation Rollout team, an ad hoc committee designed to evaluate and recalibrate the League’s membership experience. She has served on the Board of Directors, previously as Recording Secretary, and on the Strategic Planning ad hoc committee in 2016. First introduced to the Junior League as a child because her mother was a member of the Junior League of Rochester, it is fair to say that the League has always been in Martha’s blood. She moved to Maine in 2006 to volunteer with the Jesuit Volunteer Corps and wanted to find a way to be involved in her community, meet people, and give back. The JLP met all of these needs. Martha is a licensed clinical social worker and works at Spring Harbor Hospital. At the hospital, she serves on the Patient’s Rights Committee. She is also the hospital representative for the Portland Crisis Providers, a work group that focuses on coordinating services and supports of high utility users of the mental health system. Martha has her Bachelor of Arts in Public and Community Service Studies from Providence College and a Master of Social Work from the University of Southern Maine. She lives in Gorham with her husband, Christopher, and their daughter, Monica. She enjoys reading, knitting, cooking, and traveling. Hilary Manuel joined the Junior League of Portland, ME in 2013 and currently serves as the Vice President of Public Relations. She joined the League after returning home to Maine and looking for a way to reconnect with the community. Hilary has previously held positions on the Public Relations and New Member Committees, and most recently served as Chair of the Public Relations Committee. When you ask her, #WhyIJLP, she’s quick to point to the relationships the JLP has been instrumental in forging--professionally and personally. Hilary received her Bachelor of Arts degree in Communication and Media Studies from the University of Southern Maine, and a Master of Science in Political Science degree from Suffolk University. Currently, Hilary works in development at the University of New England. After completing Lift360’s Emerging Leaders program in 2016, she began board service for two local nonprofits; Acorn Productions and Hear ME Now. In her free time, Hilary enjoys hiking, kayaking the Saco River, exploring Portland’s food scene, and making people laugh. She currently resides in Old Orchard Beach. Originally from Omaha, Nebraska, Sandy graduated from Colby-Sawyer College with a Bachelor of Arts in Psychology and from Boston College School of Social Work with a Master of Social Work. She relocated to Portland in 1996 and worked as a Spurwink Clinician in the Westbrook Public Schools, providing individual, group and family therapy, as well as clinical consultation for 15 years. She, then, transitioned into private practice, co-founding the Maine Neurotherapy Center in Portland. In addition to her extensive volunteer career at the Junior League of Portland, ME, Sandy has been involved with several community groups. She is a past President of the Westbrook Food and Resource Center, and currently serves on the Falmouth 300 Committee, the Colby-Sawyer President's Alumni Advisory Committee, The Episcopal Church of St. Mary Vestry, and the Falmouth Education Foundation Board of Directors. Sandy is currently tennis-obsessed, playing three times a week, and is an avid facebooker. She enjoys talking politics, supports anything that empowers women, and thinks of herself as a social activist. She values friendship and humor, and is certain that those ingredients are key for personal growth and to affect positive change in the world, along with having a sense of adventure, having traveled to six of the seven continents. Sandy and her husband, Jamie, enjoy family time with their two teen and tween daughters, and two dogs. When they’re not traveling or enjoying outdoor Maine adventures like boating or skiing, they can be found cheering on their daughters’ sports teams and adventures, and in the fall, their favorite football teams: Nebraska Cornhuskers and New England Patriots. 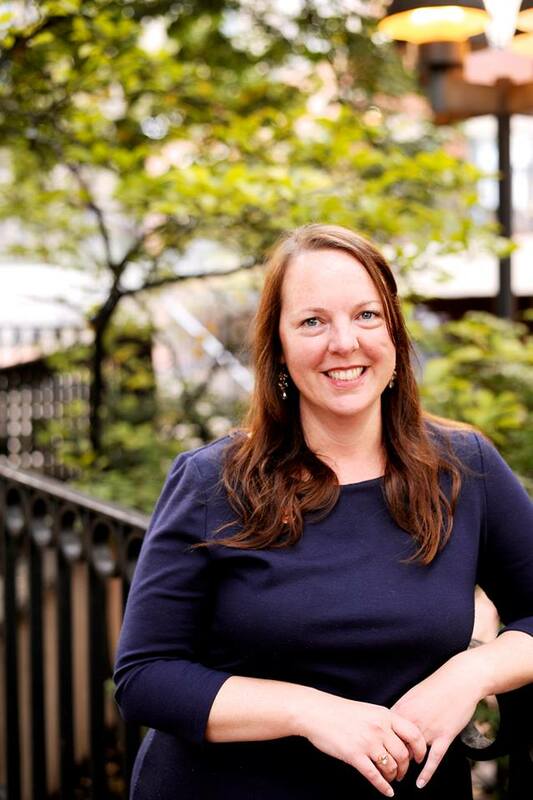 Liz has been a member of the Junior League of Portland, ME for the past decade and has returned to the Board this year as Sustainer Co-Director. In the past 10 years, Liz has served in several leadership roles including Chair of Leadership Development and Member Events, Vice President of Public Relations, and President during the 2014-2015 League year. In addition to her League service, Liz was a Board member of another local nonprofit, Spiral Arts, and currently volunteers with United Way of Greater Portland. In 2011, she was recognized as one of Maine Today Media’s Forty Under 40. Originally from New York, Liz earned her Bachelor of Arts from St. Bonaventure University where she completed a portion of her studies at University of Oxford in the United Kingdom. 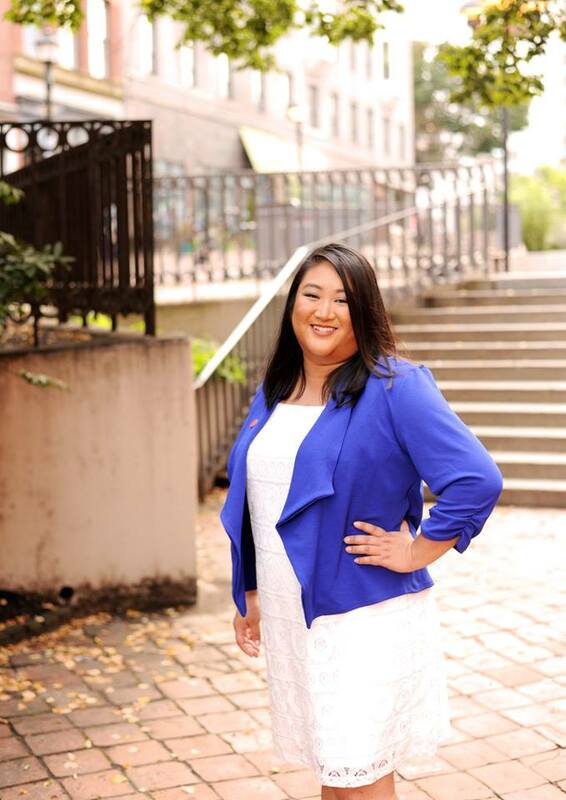 She is currently the Senior Marketing Manager for Study Abroad at CIEE in Portland, the nonprofit world leader in international education and exchange. In her free time, Liz can be found enjoying walks on Willard Beach, tending to her flower garden, and traveling the world with passport in-hand. The Junior League of Portland, Maine Inc.